As true professionalism crept into the game in the late 80s and early 90s, wingers began to play a key role in the game plans of the modern coach. What emerged from the tactical changes was a demand for powerful, hard running 2s and 5s; capable of denting defensive lines. It bred a wave of brilliant attacking players. If you can, cast your mind back to the work of Ken Nagas and Noa Nadruku in Canberra or Michael Hancock’s bustling runs and bucking Bronco approach to the play the ball. Reflect for a moment on the powerful thighs of Rod Wishart at the Steelers and the freakish skill of Nathan Blacklock on the end of the St George Illawarra back line. Skip ahead to the recent past. Names like Hazem El-Masri, Manu Vatuvei and Brett Morris spring to mind as setting the standard for 21st Century wingers. 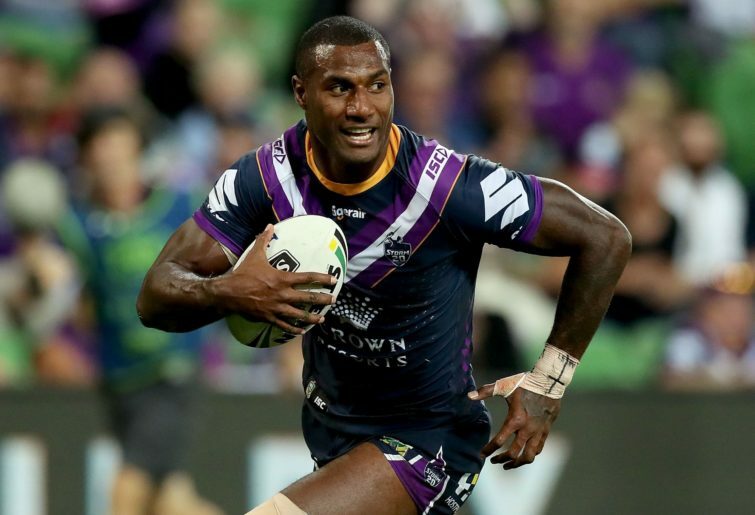 Despite the successes, premierships and representative honours of the aforementioned, their skill sets fall well short of the archetypal modern winger Suliasi Vunivalu. The history books will suggest that the Melbourne Storm defeated the Canberra Raiders in a tight contest in Round 2 of the 2019 NRL competition. In truth, it was done and dusted at the break on the back of three Vunivalu tries that silenced the crowd in the nation’s capital. As the Raiders stood like the proverbial deer in the headlights, the visitors carved their wide defence to pieces, with Vunivalu the scorer of a trio of first-half tries. The 23-year-old from Suva crossed in the eighth, 18th and 30th minutes to provide the bulk of the Storm’s 14-0 half time lead. With the whistle well and truly in the pockets of the referees in the first 40 minutes, the tempo suited the Storm to a tee. Their utter dominance in the ruck and a Raiders’ team that barely made a sound after the cringe-worthy Viking clap, resulted in a clinical and typical Bellamy driven first half. Whilst the Raiders found some comfort in two second-half tries to Jarod Croker, the second scariest member of the Storm outfit, Nelson Asofa-Solomona, crossed the try line in the 60th minute, splitting the Croker tries and securing the victory for the visitors. Not only was Vunivalu the most dangerous attacking weapon on the park, but his defensive catches to diffuse high balls launched into his corner were also elite. Vunivalu is flat out frightening as a modern-day wingman. Equally as frightening is Tevita Pangai. The Broncos big man took to the field with the sole intention of coming face to face with the NRL’s best player Jason Taumalolo as the Broncos fronted the Cowboys in Brisbane. Off the back of 300+ metres against the Dragons in Round 1 and the entire competition coming to a rather sobering realisation that the 25-year-old might be an even better version of his already impressive self in 2019, Pangai took Taumalolo on. 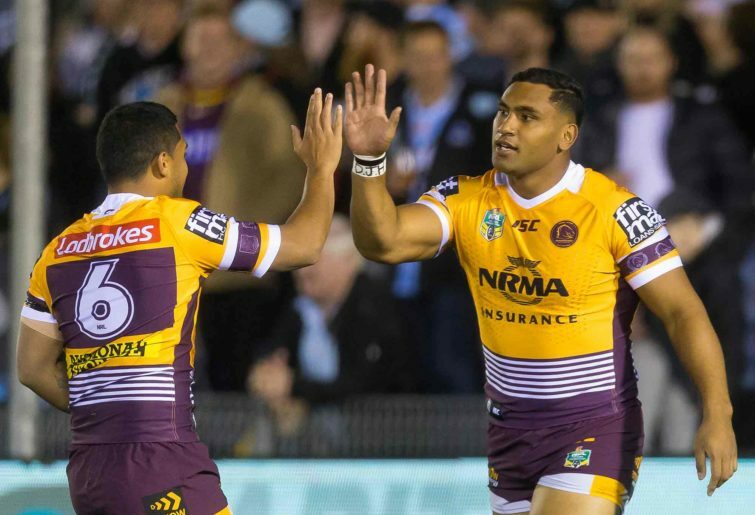 As much as the one on one confrontation between the two impacted the game, as Taumalolo picked up a ligament strain to his right knee, it was Pangai’s brutal hits around the ruck in the opening 17 minutes that set the tone for the Broncos. In simple terms, they jumped the Cowboys, caught them off guard and attacked them precociously with daring play from the back on kick returns. With Taumalolo on the pine as the second half began and Nene MacDonald judged unfit to return to the field after a failed HIA, the Cowboys faced a mountain to work themselves back into the match. In the end, there was little work done and not much of a match, as the Broncos put the depleted Cowboys to the sword and completed a comfortable 29-10 victory in front of a raucous home crowd. Doing his best Vunivalu impersonation, Corey Oates reinforced the value of the athletic and powerful modern winger with a double and Brisbane’s try in the 48th minute, as Pangai waltzed past a rather pathetic Gavin Cooper defensive effort, confirmed the identity of the more committed team on the night. The Cowboys fumbled and bumbled their way through the final twenty minutes and the final scoreline was an accurate and somewhat embarrassing reflection of the contest for them. After a less than convincing performance against the Storm in Round 1, Anthony Seibold will be relieved that his side has finally bared its teeth and reminded everyone that the Broncos are never to be taken lightly, nor written off. As for the Cowboys and Raiders? Well, Ricky Stuart will undoubtedly be heading straight for the drawing board, knowing full well that a season devoid of finals play will see his employment terminated. Paul Green’s men will live to fight another day and injuries certainly played a role in the Cowboy’s defeat. However, the Broncos were the better side from the get-go and as lauded as North Queensland’s pack has been in media circles, they failed to live up to their reputations on a forgettable night against the Broncos.